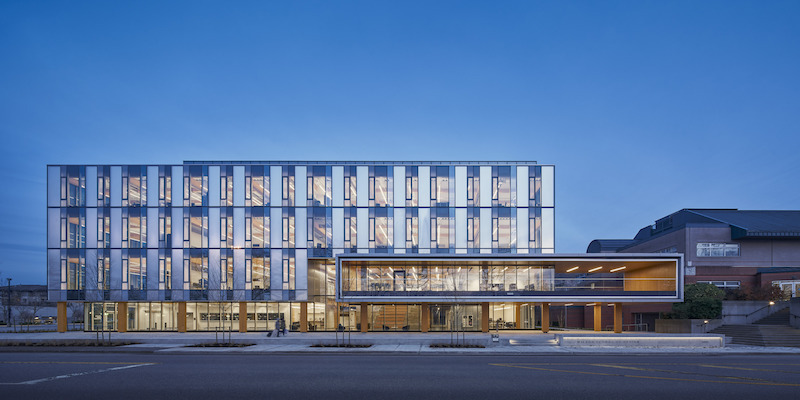 On Monday, April 16, the Wilson School of Design will celebrate its ceremonial grand opening, adding a major new facility to Kwantlen Polytechnic University’s campus in Richmond, B.C. 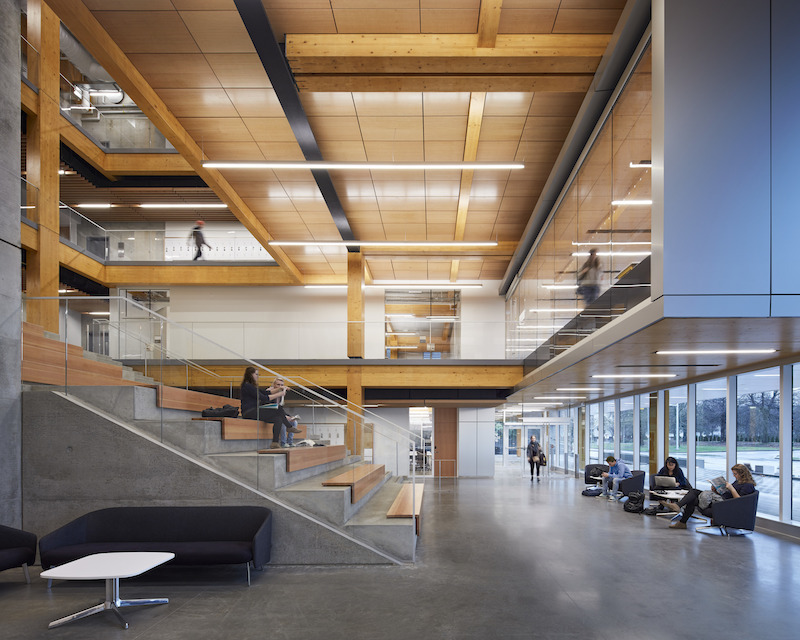 Already open to students, the school — named in honour of project donor Chip Wilson and his wife Shannon, adds 140 full-time seats at the university, bringing the number of design spaces to almost 700. Designed by KPMB and Public: Architecture + Communication, the architects describe the building’s program as being “organized into three zones. The Ground Zone is highly public and the main interface with industry. It includes testing labs and an incubator for BC Technical Fashion. 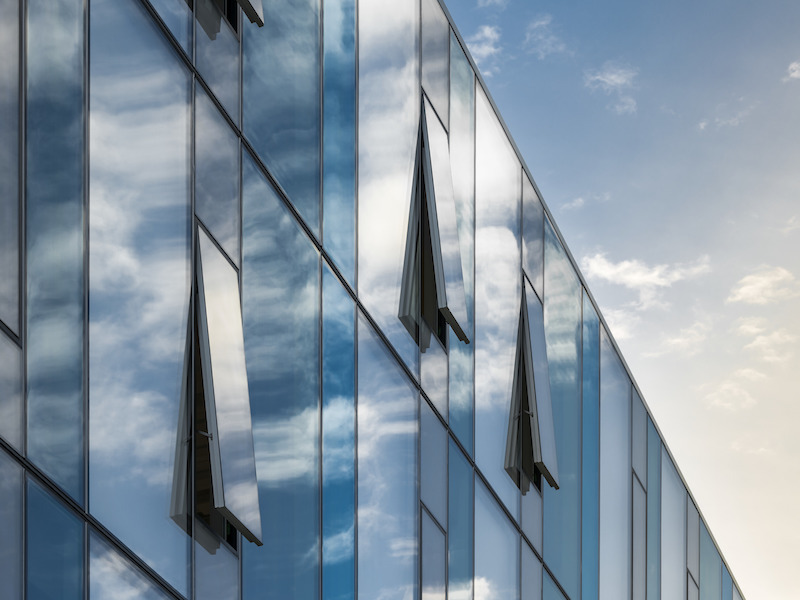 The Mid Zone houses the teaching/studios, as well as Fashion, Interior Design and Graphics programs. The Upper Zone is designated for event/conference space,” the KPMB website explains. According to KPMB, much of the design also reflects the difficult site conditions, “including a very high water table, infirm soils, and seismic considerations,” which “necessitated a structural approach that is at once very light but very stiff. In essence, the structure had to perform like a ship… As well as providing a new face and main entrance to the campus, the design re-orients the entire precinct to values of accessibility, sustainability, openness and transparency,” the KPMB team concludes on their project website. 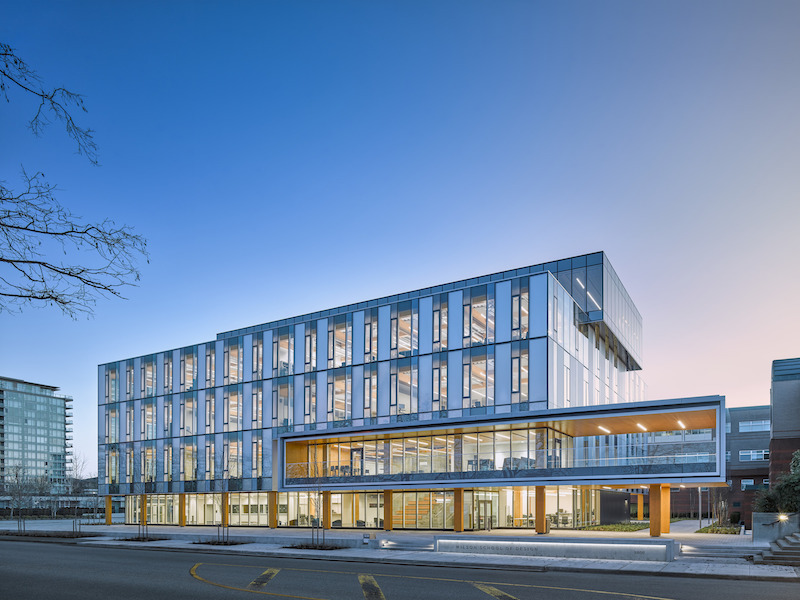 In addition to expanded study and design areas, the $36-million, high-tech space includes innovative teaching studios and labs, a testing centre and advanced technology such as laser cutters, 3D printers and ultrasonic welders. The facility will provide space for existing design programs, such as the bachelor of design in fashion and technology, bachelor of interior design, and continuing and professional education. 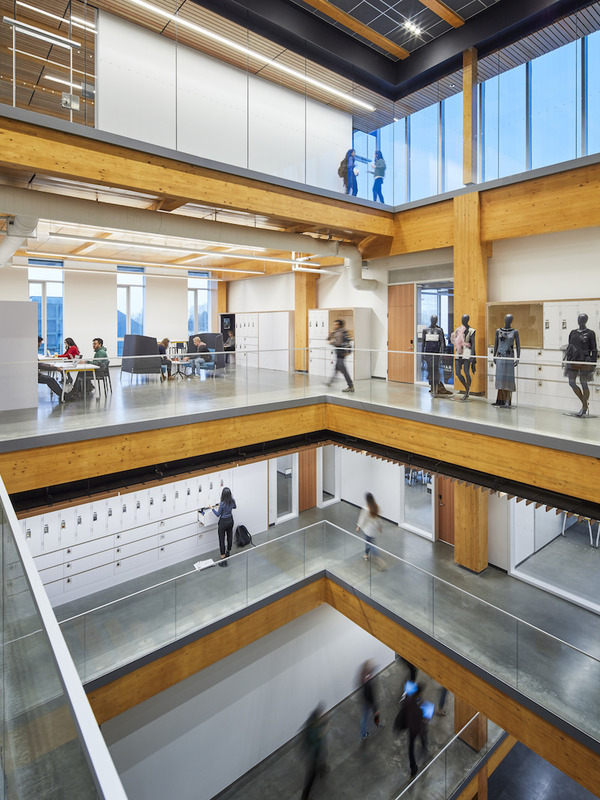 The Kwantlen University building will also house the university’s product design and technical apparel design programs, which educate students in the development of performance, technical, medical and protective wear.